The Stimson carries a python skin texture over the brand’s signature band silhouette. 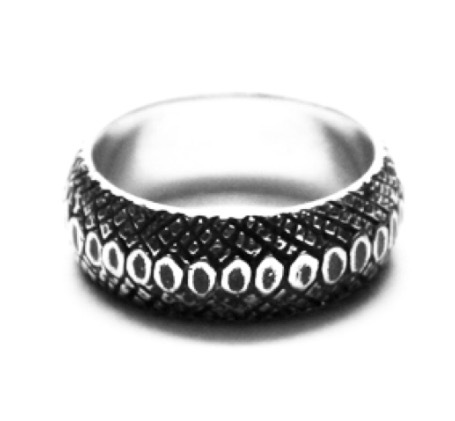 The surface of the ring is finished with a high polish, oxidized, and highlighted to create a special finish over the python pattern. The inside of the ring is finished with a high polish in order to ensure comfort on the finger. Jewelry designer Bernard James collection of handsomely crafted, fine sterling silver accessories is geared toward the fashionable, intelligent male. The man who is resilient, confident and on to his next adventure. 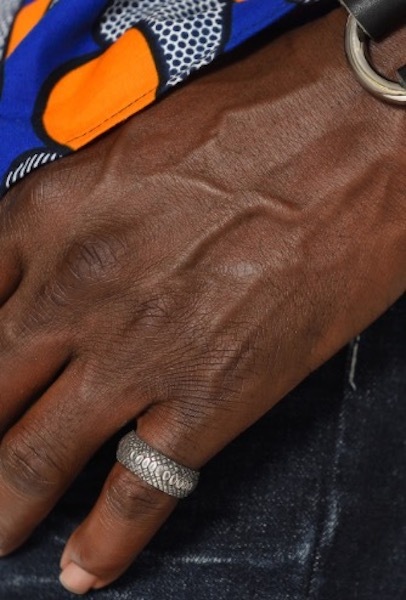 His rings and bracelets are virtually indestructible and evoke a bit of minimalist luxury.